Willie Nelson has 1 media appearance. Retired Texas Ranger Captain Hank Tomlinson intends to spend the rest of his days raising cattle on his Broken Arrow Ranch, and nurturing his frontier town of Luck, Texas. But when the brutal murder and scalping of a mysterious drifter leads to a clash between cavalry soldiers and a band of Comanche Indians suspected of the killing, a full-scale Indian uprising seems likely. Worse yet, the murder of the drifter bears a disturbing resemblance to a string of killings Hank remembers from his distant and violent past as a Texas Ranger. Meanwhile, Hank's twenty-year-old son, Jay Blue, and his adoptive brother, Skeeter, find themselves on the trail of a valuable Kentucky mare who vanished under their watch. The trail leads them into the dangerous haunts of outlaws and vengeful Comanche warriors. Now Hank must attempt to keep his sons safe while trying to catch a murderer who he knows will soon strike again. His ace-in-the-hole is beautiful Flora Barlow, the tavern owner with a knack for detective work. Though rival lawman, Matt Kenyon, and competing rancher, Jack Brennan, complicate Hank's investigation, he and Flora slowly begin to uncover a crooked web of crime, deception, and murder. Dark secrets emerge, and everyone must choose sides as lawmen, outlaws, soldiers, and Indian warriors converge for a final, bloody confrontation. Thursday, November 15, 3pm-5pm Legendary Musician Willie Nelson signing Roll me up and smoke me when I die: Musings from the Road TICKETS FOR THIS EVENT ARE NOW SOLD OUT We're thrilled to welcome Willie Nelson to the store to sign his new book, Roll me up and smoke me when I die. Tickets are required to join the signing line and meet Willie Nelson at this event. Tickets for this event are now sold out and are no longer available. If you have a ticket for the event, please read the following guidelines carefully: *This event is a SIGNING ONLY. *Tickets are required to join the signing line and receive a signed copy of Roll me up and smoke me when I die. Tickets cost $22.99 plus tax (the cost of one book). Tickets are sold out and are no longer available. *One ticket admits ONE person to the signing line and is good for ONE signed copy of Roll me up and smoke me when I die. *Ticketed customers will receive their signed copy of the book at the signing table the day of the event. *Books will be personalized. *No memorabilia will be signed at this event. *Posed photos will not be allowed at the signing table. Because we have a limited number of tickets available, there is a limit of 5 tickets per person. All ticket holders will have a spot in line. The store will open at 9am on November 15. The line will form outside our front door. Spots are first come, first serve throughout the day for those who have purchased tickets. Only ticket holders will be allowed in line. Unfortunately, we cannot take pre-orders for signed copies of the book from folks who cannot attend. Please give us a call the day after the event to see if we have any signed stock. Thank you for your cooperation with all of these guidelines. If you have any questions, please send an email to online@bookpeople.com or give us a call (512-472-5050). Willie Nelson is currently considered a "single author." If one or more works are by a distinct, homonymous authors, go ahead and split the author. 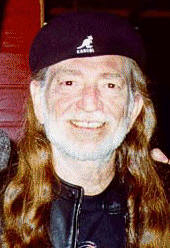 Willie Nelson is composed of 3 names. You can examine and separate out names.